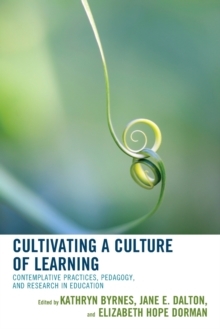 Cultivating a Culture of Learning: Contemplative Practices, Pedagogy, and Research in Education illustrates portraits of practice from a variety of teacher education programs, bringing together a rich collection of voices from diverse settings. 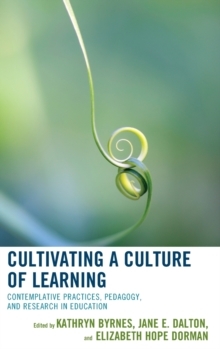 Authors share their first-hand experience of cultivating a culture of learning as teacher educators and employing contemplative practices in their work with educators. Contemplative practices, pedagogy, and research are analyzed as essential components of cultivating cultures of learning in classrooms. Several chapters offer innovative models, pedagogy, and courses utilizing contemplative practices. The authors in this book advocate and express the importance of creating spaces where the inner life and qualities such as intuition, creativity, silence, and heart-centered learning are valued and work in partnership with cognitive and rational ways of knowing and being in the world. Authors explore challenges faced institutionally, with students, and personally. The insights and challenges shared in these portraits of practice are intended to stimulate conversation and engender future pedagogy and research in the field of contemplative education.